Not a lengthy read but a heavy read and one that requires you to pay attention. A tale of love, loss and finding love where you least expect it. I suppose you’d anticipate something that held weight behind it because there was nothing light or airy about The Last Unicorn. I had forgotten how much of a storyteller Beagle is and how he becomes not only the narrator but the characters he writes. His style is unique to him and I find you either like it or you don’t. There’s not really an in between. That being said, the story is difficult to follow, because of the way it is written. It isn’t easily devoured or sucked down like so many new fantasy novels that have cropped up. Claudio Bianchi is a hermit who lives on the hillside, after his child died and he was never the same, his wife left him. He took up a simplistic life and grew suspicious of all who trespassed. One day a unicorn comes to his farm, decides to take up residence and even foul there, what comes after that is a lot of unexpected things. During which, I was lost repeatedly, because of the way it is written, it is lyrical in a way Beagle can only be, it is told in a storytellers voice, so it’s hard to remain connected to the story when there is often tangents off on the side. I felt like I was on a breeze of words which was wonderful and not. If you’re a fan of Beagle, you will surely enjoy it. 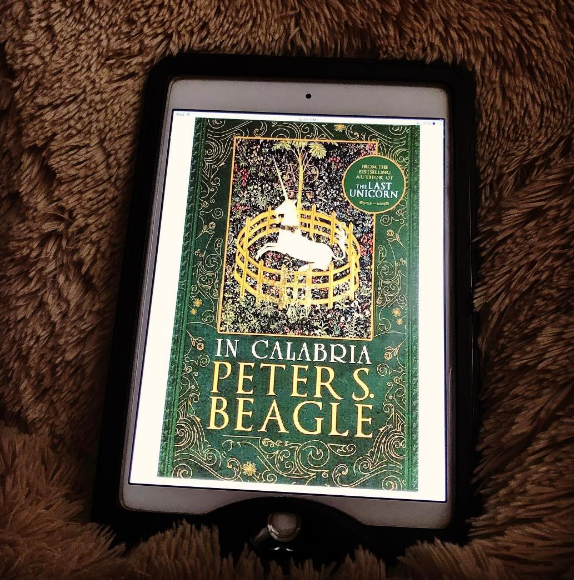 Previous Booktube: Golden Review & Rap!